Gold Star Widows/Widowers have been survivors but with this organization we are never alone. We have families that have been surrounded by grief and torn apart in ways that only another survivor can know. We have found friends and strangers who have helped us in our journey to deal and live with the many new ways that our lives have changed. Gold Star Wives of America, Inc. can offer help in ways that directly help with the grief and changes that come with being suddenly a widow/widower. 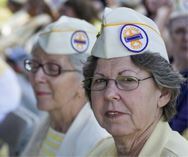 Many members from 1945 forward have served this organization to help these families in every was possible. Our membership is very diverse in age, race, creed, religion, and in the many areas we live in. The one thing we have in common is the loss of our spouse while serving our country or as a result of service connected illnesses or disabilities. Gold Star Wives is divided into eight regions throughout the country. There are national officers and a national board of directors, region officers, chapter members and members at large. Membership is from WWII all the way to the present conflicts. We welcome opportunities to help the widows/widowers who have recently found their lives torn apart. Our purposes are to offer friendship and share our knowledge that has been gained in ways we never imagined. We have walked the path and we welcome the ability to share what we have learned. We have had many years of conflict and many sorrows have come with these conflicts. As an organization, thousands of widows/widowers have found some measure of healing as fellow survivors, some with families established, some with lives barely started together and dreams unfulfilled. We continue to serve and remember our service members by volunteering in VA Hospitals, local nonprofit organizations, our schools and communities. We attend Memorials that honor our veterans, attend Military Services, lay wreaths in Honor of the Fallen and speak whenever we can to promote Survivor Issues. We do our best to salute our Military currently serving and those who don't make it home. Our goals is to continue to put forth Survivor Issues by walking Congressional Halls and testifying whenever the opportunity allows. We hope our Hats and Gold Jackets will be recognized as a force to be dealt with. 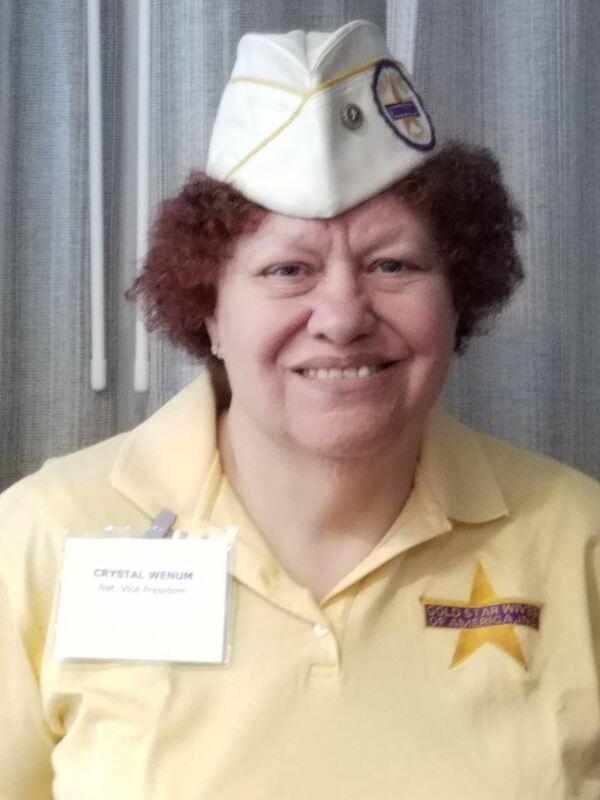 I appreciate the confidence my fellow Gold Star Members have shown me and will do my best to represent Gold Star Wives in the best manner I can. I believe in the goals of this great organization and will continue to put them forth. This is a unique organization and deserves to have my best efforts to bring them forward.